Seems like people have been going nuts over this book. I might give it a chance, though I’ve heard a lot of people say what you’ve said–that the characters are very hard to like. I’m trying to decide if that would bother me too much…Lol. I’m curious as to why your score’s only a 3.5/5. You didn’t seem to have anything negative to say other than the characters are hard to like. There are lots of books with unlikable characters, but there’s no one out there like Amy Dunne. She’s a literary character in a class of select company. Stephen King’s written a lot of books where it’s hard to find anyone to root for. I think Nick’s sister is very likable, if you’re looking for someone with a semi-normal p.o.v., but this book is just masterful. I think it had the best mid book WTF moment I’ve ever experienced. This was my book of 2012 (of course now that I finally read The Fault in Our Stars, i’d bump it to #2). The movie version of this with Rosemund Pike and Ben Affleck as the Dunnes and David Fincher directing comes out next year. I’m glad you went out of your normal zone and tried it though. Flynn is dark and twisty, but she’s one of the best young authors out there. The Fault In Our Stars was very good – reviewed that one a little while ago as well. 🙂 Of all the books I’ve reviewed on here (maybe 5 or 6? I stick mainly to movies! ), most were 4/5 & I had to admit that I enjoyed them all a little more than Gone Girl (although 3.5 is still a good score!). 🙂 The story was very thrilling & the book was great fun to read but I DO have a hard time with unlikeable characters (yes, even from King. In my review for Joyland, I had a rant about just HOW much I hated the characters in Under The Dome, making it one of my least favorite King books). Agree that the sister was my favorite character in Gone Girl – I don’t know the actress playing her from anything else but I really hope she’s right for that part. 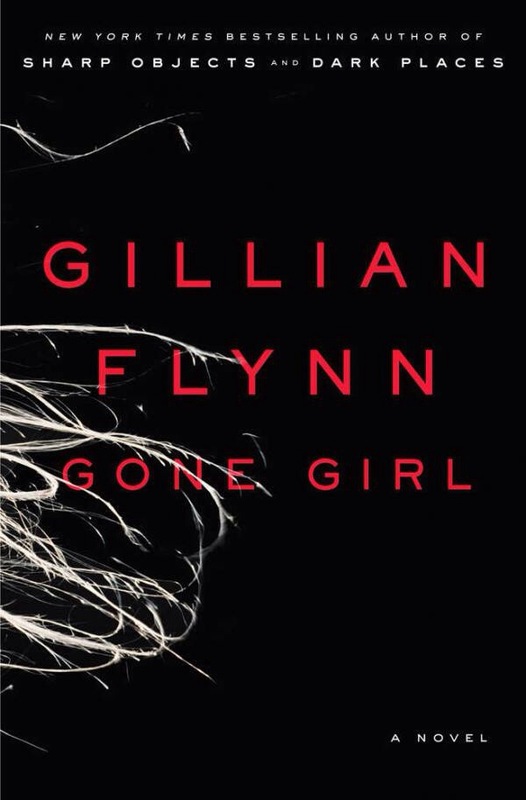 I think Flynn is a very good writer based on this book, though, so I wouldn’t say no to reading another book of hers. I was ribbing you, I know you’re fair and I was mostly glad you read it. Flynn is amazingly talented and young. She used to be a staff writer at Entertainment Weekly. Her other two books are very very very dark. This is the least dark book she’s written, but she GETS the dark side of the moon of the human psyche better than anyone I’ve ever read. I miss Stephen King’s EW columns lol. They were so random and crazed. The best thing he’s written in years is this little single (you can find it in the Kindle store for like a buck) called Guns. He wrote it after the Stonybrook massacre and it’s basically this rational (I know, odd for him, right?) look at guns and their place in society coming from a guy who’s owned them his whole life. I wanted to bear hug the man. My book club read this and overall we probably scored it about as much as you did. The idea and the way it is written is very impressive but some of the storyline is quite contrived in order to make the mid-book WTF (as sleeplessdave calls it) work. Yep. Exactly! It was a very enjoyable read but… Yeah. Some things just didn’t work. Fun but far from perfect although I think she’s a very good writer so certainly wouldn’t avoid other books of hers. Great review lady, just checked it now. We scored it similarly. It was an entertaining read for sure!